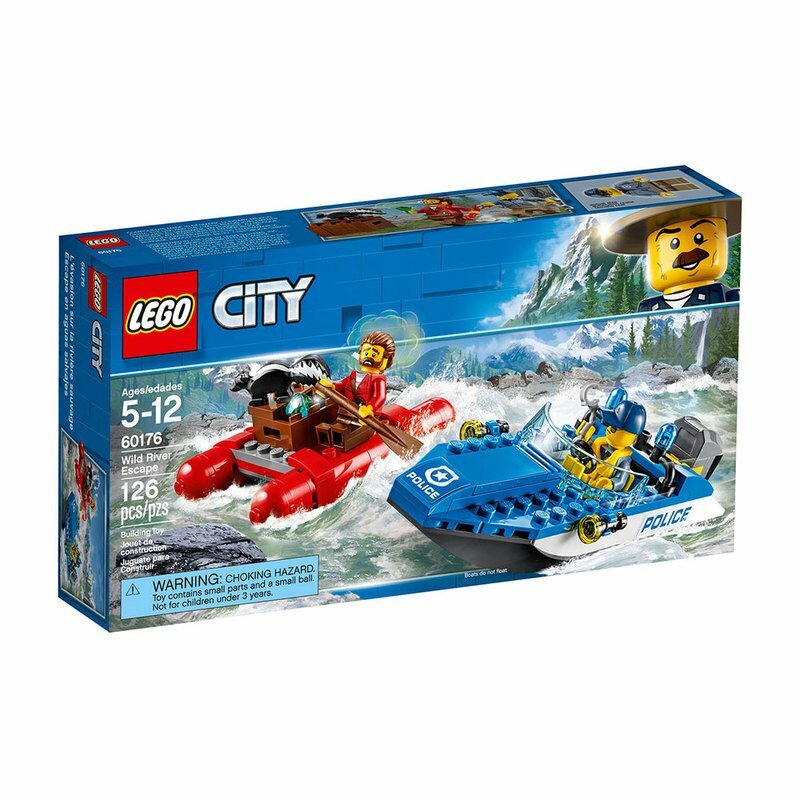 Pick up your badge and join the LEGO® City Mountain Police officers as they stop a Wild River Escape! This popular kids toy features a police speedboat with big outboard engine and bubble lights, a raft with big pontoons, a paddle and space for an opening box. Includes 2 minifigures and a skunk figure. Speed after the crook on an exciting river chase!